Senior Citizens population after having lived an active life in their prime years, need personalised care and a life of dignity in their sunset years. When they get affected by age-related disorders, as often happens at advanced age, they need constant medical care, keeping this in mind Vardaan Senior Citizens Home remains equipped to take holistic care of medically-challenged seniors. I am settled in the west. My mom has a neurological problem that sometimes causes seizures and has been at Vardaan for around two years. 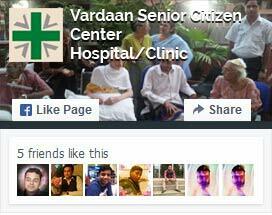 The staff and Doctors at Vardaan have taken very good care of her. I specially appreciate the personal interest that Dr. Rekha Khandelwal takes in her well-being as well as in the well-being of other residents. I highly recommend this place for those who are worried about the well being of their parents and live far off to be able to take care of them, themselves. I wanted to express our family’s deep gratitude for the excellent care that my mother received during her long stay at Vardaan Hospital and senior citizen centre She was admitted for a period of three years after her memory started fading and progressive infirmity I wanted to express our family’s deep gratitude for the excellent care that my mother received during her long stay at Vardaan Hospital and senior citizen centre. She was admitted for a period of three years after her memory started fading and progressive infirmity made it impossible for my sister to care for her at home. The staff at Vardaan gave her the loving care that she needed with the benefit of medical care required along the way. 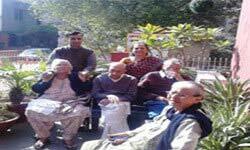 I highly recommend Vardaan Elderly Care center for the excellent care of its residing elders as well as for its first class accommodation and services. Both my sister and I are settled in the West. 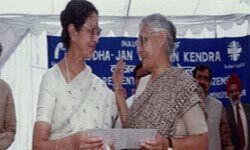 After my mother passed away in Delhi last I highly recommend Vardaan Elderly Care center for the excellent care of its residing elders as well as for its first class accommodation and services. Both my sister and I are settled in the West. 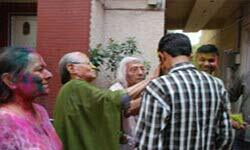 After my mother passed away in Delhi last year, we decided to put our Father (who suffers from Dementia) in Vardaan's care. 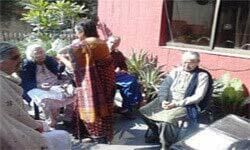 Over the following months, my father settled nicely into the center, made friends with the care-workers/other residents and bonded superbly with Dr. Rekha (who is surely an elder-whisperer!). All my father's needs including timely intake of medication, walks in the park, cleaning of his room and ironing of his clothes were taken care of with absolute professionalism and personal care by the staff of Vardaan. Again, if you are looking for a place in Delhi to take care of your elderly relatives with the peace of mind that everything they need and want is being taken care of, then Vardaan is surely the place for you and your elders. "A couple of years back when my uncle Dr D K Tandon was diagnosed with Dementia, we were looking for a decent place where he can be taken care of. 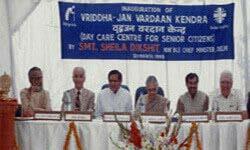 We chanced upon Vardaan Senior Citizen centre. I spoke to Dr Rekha Khandelwal and found her to be quite empathetic & considerate in her approach. My uncle is staying in Vardaan for last couple of years and we are grateful to Dr Rekha and her staff for taking care of my uncle." We take this opportunity to thanks the entire staff and special thanks to Dr. Khandelwal for taking care of my uncle Wg. Cdr OP Grover who was residing with you. We lost uncle on 15.11.2016 and will always miss visiting him smiling and happy here . A family atmosphere every time I visited. 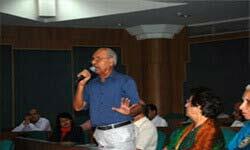 Dr. Khandelwal thanks once again and wishing to many more such care centers to take care of our uncles. When we are compelled to be out for work. I will be happy to support in any way I can assist. Please feel free to contact me. This is a short note to thank you and your esteemed institution for providing a high level of service for my aunt, Dr. Sarla Khosla. I wanted to record the appreciation which we as a family feel and respect. During her stay of near two years with yourselves she had an extremely pleasant experience both from the viewpoint of medical care and personal attention. Food cooked in your premises and served with hygiene and pleasantness indeed made her stay almost home like. During her last month she did go through a rough patch. Your personal attention and logistic support with both Mediclinic and during her final days were a blessing. We wish you and your institution the very best. We look forward to supporting you and your endeavors and will see you in the near future. My father passes you and others in the team his regards as well. 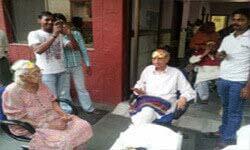 My mother, Manorama Devi, was a patient of Parkinson’s disease and paralysis. 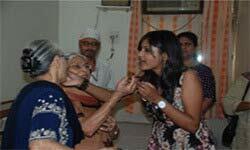 We were managing her at home but due to complications of the illness and lack of trained caregivers I had to shift her to Vardaan Senior Citizens Home. Vardaan is truly home away from home and the entire staff under the able guidance of both Dr Rekha Khandelwal and Dr Rajiv Khandelwal works tirelessly to make the senior citizens feel at home. 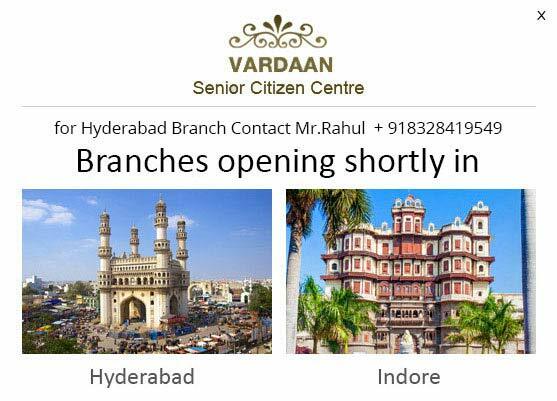 Vardaan Senior Citizen Home is providing residential facilities with medical support and entertainment to senior citizens. it is a highly noble cause and this organization’s work has to be applauded, appreciated and encouraged by the society. I convey my heartfelt blessings and pray to Almighty to give them enough courage, support and resources so that they may boost their activities and provide support to more Senior Citizens. God bless them and give them enough resources, courage and strength.